Free resources at Ready.gov include an Interactive Family Emergency Plan (it asks the vital questions, and you create an easy to read form for you to give to important contacts); an email application to help you communicate your plan to those around you and links to emergency preparedness offices near you. Tip: Did you know that in an emergency, those living nearest to you may be the most difficult to reach by phone? Designate an out-of-state contact and be sure everyone has both the contact’s number and a way to reach them (phone card, collect call procedure, etc.). Sesame Workshop has put together several kid-friendly resources, designed for preparing your kids for emergencies. Free online videos, downloadable forms, and more are available at: www.sesameworkshop.org/initiatives/emotion/ready. Speaking of being prepared….. You can save yourself a whole lot of time and money when you start to plan your holidays now. Think of it as “Emergency Preparedness” – avoiding some of those expensive, stressful holiday “emergencies” that come up when you don’t have what you need. While on the search for costume supplies today I saw Christmas Cards! What a great Idea – start them now too! Think of the longer, more thoughtful message you can send, handwritten – when you have more time to compose your Christmas cards. If you’re the type that likes to send photos and a “Year in Review Letter” – here’s your notice that you can start the creativity – Now! Start Your Holiday Shopping Now: Statistics and experience tell us that the most money spent, is spent as the holidays get closer. Avoid overspending when you buy gifts year-round. Make and maintain a list of whom you’re buying for and their likes/hobbies/etc. When you’re in the clearance aisles or other shopping places, consider what might make a great gift for someone you know. School supplies and backpacks, many of which are being clearanced at great prices now, make great gifts and gift bags. OrganizedChristmas.com helps you design and plan a memorable, less chaotic (and likely less expensive) holiday. Printable planning forms are free, and guide you through the most important details of the holidays. It is back to school and back to schedules in my home which also means time to get those children organized with my mommy school survival tips. So, hurry over to the SC Johnson Home Economics blog where I share my 6 Get Those Children Organized Tips. Click Here to read the full article now and be sure to leave a comment there as well. *Each week Trisha Blogs on SC Johnsons Family Economics website as a paid blogger be sure to read her weekly organization articles. Casa Di Bertacchi© meatballs trace their roots back to Mario Bertacchi©, who founded a small New Jersey meat market in the 1920s and expanded into meatballs roughly 40 years later. Our meatballs are the focus of our business—not an afterthought. That means you'll find mouth-watering taste and quality in every bite. Stephanie Ashcraft, NYT Best-Selling Author, endorses these meatballs and even wrote one of her latest books, “101 Things To Do With Meatballs” all about ways to incorporate meatballs into quick and easy meals. They are ideal for feeding hungry kids during sleepovers and fall festivals. 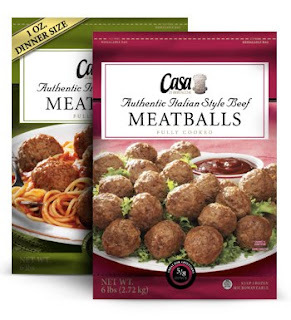 WIN: 24/7 MOMS and Casa Di Bertachhi is giving away a "101 Things To Do With Meatballs" cookbook. US entries only and one entry per person. Winner will be chosen on October 10, 2010. *We received a complimentary Casa Di Bertacchi Meatballs for review no financial compensation was received. Q: What is the most expensive single item you've ever bought? Q: I have four wings, but cannot fly, I never laugh and never cry; On the same spot I'm always found. What am I? September 29, 2005 was a day that forever changed my family - I remember vividly that early morning when my Mom who had arrived the night prior for a visit came into my room and said "Trisha, the police are at your door". As a mom of 5 kids I quickly took inventory of my children's whereabouts in my head and then I thought the dog got out. Why would a police officer bring my dog back home? no idea why that was my thinking, but in the middle of the night that is what went through my head. I was not prepared for what I was about to hear when I walked down my stairs to answer the door. I peered out my side window to see two figures standing on my porch a Police officer and what looked like one of my sister Erin's best friends, as I opened the door I knew at that moment that I was about to receive life changing news. As I heard the words " There has been an accident a NW Airlift Helicopter has gone down and your sister Erin was on board". I looked at the two figures on my porch in disbelief and said something like "no, you are wrong she was not at work, how do you know it was her on board?" not wanting to accept the now life changing news I wanted to convince them they were wrong and they should find another family to share this horrific news with. On September 29 2005 our family lost a daughter, a sister, a aunt, a friend, a nurse, a mentor, a hero. When a family losses a member of their team it's like playing a baseball game without a pitcher. It doesn't matter how many players ( siblings) we have on the field or how great our coaches (parents) are we are no longer a complete Team we are missing a valuable part of our Team and we have to find a way and reason to continue the game of life. Erin lived her life with intention and passion. She taught me that "I can't" was not to be part of my vocabulary, that life wasn't all about ME but about others and how we needed to make a difference in the lives of others. Erin was my big sister my Hero. Over the past five years we have all felt the loss, we have all grieved differently and looked at life through a new set of glasses, we each have different memories of Erin and how she influenced our lives. Her life and death have forever changed our family by challenging us to live as she did full of passion and intention in order to make a difference in the lives around you. This week on DIY Moms get Ready for Halloween with the Executive Homemakers DIY Halloween Countdown calendar. Your kids will love counting down until they get to put on their costumes and collect their pile of candy this year with the DIY Halloween Countdown calendar. Click here for completer how to instructions from the Executive Homemaker. Stop by each week for our DIY MOMS feature. 24/7 MOMS will feature a DIY ( Do it yourself) project by a MOM each week. Breaking News - What is going on!!!! We interrupt this BLOG to bring you the latest news of 24/7 MOMS live webcast. We are sorry for the technical issues we faced on last nights live webcast and are in the process of working this out so that we can resume airing next Tuesday night at 7pm PST and 9pm PST. We missed chatting with all of you and hope you were still able to tune in and watch the show. Due to the technical issues and not having complete access to the chat room we have decided to hold a contest on Facebook so that you can still have a chance to WIN some of the great products featured on last nights Live webcast. Click here to go to the Facebook question and leave your answer now. 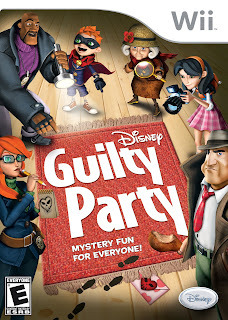 Disney Guilty Party is a family-friendly mystery video game that tells the thrilling and humor-packed tale of the Dickens Detective Agency as they solve crimes set in motion by the master criminal known as Mr. Valentine. This Wii™ exclusive video games offers solo, cooperative and competitive gameplay for all ages, inviting up to four players to solve mysteries around the globe to unlock the secrets of Mr. Valentine's grand schemes. Players choose a detective and take turns exploring the crime scenes, interrogating suspects and playing mini-games to uncover clues and discover the culprit's identity. In an innovative twist, the Wii RemoteTM is transformed into classic detective tools, such as a magnifying glass, flashlight, lock-pick, fingerprint kit and more. Once players have enough evidence, they can accuse their prime suspect to solve the case. In “Party Mode” players can enjoy the game again and again with new sets of clues, suspects and mini-games, with a different experience every time. WIN: 24/7 MOMS & Disney are giving away a Disney Guilty Party Wii Game. *We received a complimentary Disney Guilty Party Wii Game for review no financial compensation was received. Shower Cleaner - Use a dryer sheet to to dissolve soap scum from shower doors, and the tile walls. Clean the surfaces with a sheet. Car Freshener -Place dyer sheets in your glove box, trunk, under car floor mats and under car seats for a fresh smelling car. Laundry Room Quick Clean - Use your used dryer sheets to quickly wipe down your laundry room collecting all the dust and dirt that often accumulates on top of our washer and dryers, inside our dryer drums, and on our counters. No more bugs - Place dryer sheets into your picnic baskets or place under lawn furniture to repel bees. Blind Cleaning - Close your blinds, then wipe up and down with a dryer sheet. Dust be gone. Prevent Musty Book Smells - Insert a dryer sheet between the pages of your favorite books when storing them. Smelly shoe solution - Place a dryer sheet into the smelly shoes and let sit overnight. Paint Brush clean up - Place your used paintbrushes in warm water along with a dryer sheet and within a minute your brushes will begin being paint free. ty from your television and computer screen. Pet Freshener - Wipe down your wet dog or cat with a dryer sheet when they come in from the rain to freshen their fur. Hair Collector - Use a dryer sheet to wipe bathroom floors, counters and even furniture that may be collecting hair. One quick wipe and you are hair free. What SIMPLE ways do you use a dryer sheet? Meet The Sienna Parents - " Swagger Wagon"
Are you a Toyota fan? Are you in need of a good laugh today? take a peek at the " Swagger Wagon" Video and tell me did it make you smile? laugh? 24/7 MOMS will be flying to the Indiana Toyota plant for a behind-the-scenes tour. 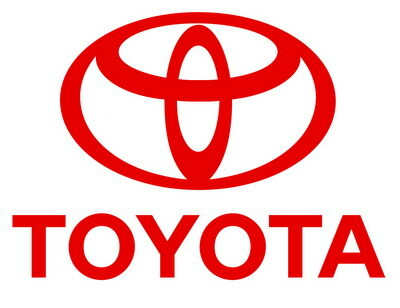 We will get an inside look at the Toyota manufacturing process, and an opportunity to interact directly with plant team members and management. Will 24/7 MOMS fall in love with the Sienna Mini-Van? after watching this Swagger Wagon" video I'm beginning to think so. New features only available in this interactive eBook for your iPad, iPhone and Ipod Touch include professional narration, background audio and enlarged artwork for each scene. To promote reading in young children, individual words are highlighted as the story is read and words zoom up when pictures are touched. By combining the original text and artwork with features that entertain and promote reading, this e-book appeals to readers of all ages. In "The Berenstain Bears Say Their Prayers," Brother Bear discovers that God answers every prayer in his own way and time. Children will learn, along with Brother Bear, that praying isn't just for bedtime. Sundays find the Bear family busily enjoying all sorts of activities, but church isn't one of them. In "The Berenstain Bears Go to Sunday School," the children discover the value of going to Sunday school as a family. When Mama Bear decides it’s been too long since they’ve attended church at the Chapel in the Woods, the Bear family works to get back in the habit. It isn’t long before the family remembers what a wonderful place the church is and finds that going to church is something they look forward to every week. "The Berenstain Bears Go to Sunday School" was the 2009 Retailers Choice Award winner in the Children’s Nonfiction category. Should Sister Bear ignore the new girl at school just because her friends do? "The Berenstain Bears and the Golden Rule" shows children how choosing to be kind may not always be the easy choice. But it is always the right one. The story unfolds as Sister Bear receives a locket for her birthday with the Golden Rule inscribed on it and she wonders what the verse means. Although Mama Bear explains it, it isn’t until Sister befriends a lonely newcomer at school that she understands what the rule looks like in action. Click here to go to the iTunes store to download your new Berenstain Bears eBooks today. Is Family dinner time important to you ? How do you make it happen? Click here to read what the Facebook 24/7 MOMS are saying about today's question. WIN - Now I'm Reading! Wish you could get your preschooler to boast, “Look Mom, now I’m reading!” Do what millions of parents have successfully done: find just the right beginning reader series—from their first read-aloud book to successful independent reading, with storybooks, games and plays to reinforce essential learning skills along the way. Get in the tub with a cub or laugh along with hot dog in these silly stories with engaging colorful art. Now I’m Reading!™ by innovativeKids incorporates humor and uses a building block approach to learning to read that makes it simple for any child to master. Finding new ways to excite kids ages 3-7 about reading has never been easier with these simple steps to reading success using the award-winning Now I’m Reading! Program. To date, over 3 million units have been sold to parents, grandparents and educators who wish to instill a lifelong love of reading with a simple- to-use program that guides the grownup and child every step of the way to reading success. Now I’m Reading! program has won over a dozen industry awards and combines the best of phonics and literature- based reading. With more than 10 years of experience teaching kindergarten, first grade, and third grade, Gaydos has a comprehensive understanding of how beginning readers develop from pre-readers to independent readers. She’s an award-winning author, speaker, and does on-site parent and teacher workshops on reading and writing for kids– all in addition to being a mom herself. Turn reading into playtime with these storybooks that feature write-on/wipe-off marker, board and cards. 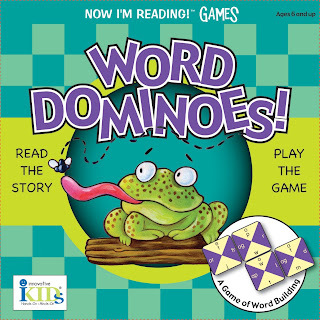 Choose one or all six titles: Hangman Riddles; Sight Word Slap; Go Fish Stories; Letter Bingo; Rhyming War; and Word Dominoes. Parents will be pleased to know that each hands-on interactive game builds essential reading and math readiness skills. Ideal as a travel item or to tuck in an overnight bag for a slumber party. WIN: 24/7 MOMS and innovative Kids are giving away a Now I'm Reading! Product. 1. Become a 24/7 MOMS Subscriber Enter your email address below then leave a comment that you subscribed along with your email address and please visit innovativeKids and find another product that your kids will love (not in the Now I'm Reading series) and comment what that is. 2. If you are already a subscriber just leave a comment that you are a subscriber along with your email address and please visit innovativeKids and find another product that your kids will love (not in the Now I'm Reading series) and comment what that is. *We received a complimentary Now I'm Reading! Word Dominoes! Game for review no financial compensation was received. Q: Teach us one thing that you learned today that you think we don’t yet know. Q: I am the shortest complete sentence in the English language. What am I? No matter how many other jobs you have, being “mom” is the most important job in the world – and your role managing your home can easily overwhelm you. Join me this week with special guest Susan Heid as she shares the most important things you need to know to successfully manage your Home & Family without losing your mind! • Cookie bases can be made ahead and stored covered at room temperature. Frighten family and friends with this festively gross grub. Add creepy confections to this "bug-centric" pudding for a haunting flair they won't soon forget. Have fun with the kids creating this festive and spooky graveyard-inspired pie. A chocolate cookie crust is filled with a chocolatey pie mixture and topped with cookie crumb dirt, cookie headstones and creepy crawly gummies and bones. COMBINE 1 1/2 cups cookie crumbs and butter in 9-inch deep-dish pie plate. Press crumb mixture onto bottom and upsides of pie plate. Set aside remaining 1 1/2 cups crumbs for dirt topping. WHISK together evaporated milk, egg yolks and cornstarch in medium saucepan. Heat over medium-low heat, stirring constantly, until mixture is very hot and thickens slightly; do not boil. Remove from heat; stir in morsels until completely melted and mixture is smooth. POUR into crust. Sprinkle with remaining 1 1/2 cups cookie crumbs. Press crumbs down gently. Refrigerate for 3 hours or until set. DECORATE cookie tombstones as desired with writing gels. Insert tombstones around edge of pie. With spoon, mound cookie crumbs to form “fresh graves”. Decorate graves with candy to make the pie as spooky as you want it to be! Looking for a treat to bring to that Halloween party or special gift for your favorite ghoul or goblin? Using our refrigerated chocolate chip bar dough as the brim of this hat, sugar cones can be frosted, decorated and attached to make these deliciously cute cookie witch hats. Do you save condiment packages? Which ones and what do you use them for? Click here and read our Facebook moms ideas and tips on this question. Get a Free Sample of Degree Girl deodorant for your Tween or Teen. Click here to sign-up today. Rice cookers have often been compared to slow cookers for their ability to produce a delicious meal with minimal effort on the part of the cook. Other than that fact, the two have not had much in common; one cooks at boiling for a fairly short time, the other at a low heat for a very long time. Aroma Housewares, America’s top-selling rice cooker brand, has found a way to bridge the gap between these two beloved appliances, with the new Aroma Professional Rice Cooker, the first to feature a true 10-hour programmable slow cook function. Along with the full functionality of a digital slow cooker, this new rice cooker maintains all the features that have helped to make Aroma America’s Favorite Rice Cooker. The Aroma Professional Rice Cooker truly embodies Aroma’s mission of giving families the ability to create a healthy meal and have valuable time together while the rice cooker handles the cooking. Aroma has long been appreciated as the top brand in the rice cooker category. Aroma’s overwhelming market dominance grew in large part from an unwavering commitment to offering the features consumers wanted most— at an affordable price point. It’s the reason why when NPD asked consumers which brand best offered the features they were looking for, Aroma was the top answer. The new Aroma Professional Rice Cooker is available nationwide in Costco stores. 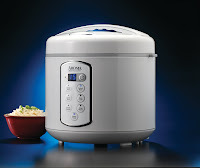 WIN: 24/7 MOMS and Aroma Housewares are giving away a Aroma Professional Rice Cooker. *We received a complimentary Aroma Rice Cooker for review no financial compensation was received. Do you admire those crafty moms who create unique party favors, household decorations, gifts and crafts? 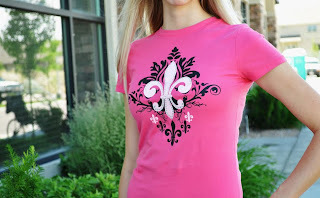 24/7 MOMS has found the Keeping it Simple answer to becoming one of those crafty moms. Our answer is the Silhouette Craft Cutter Machine it allows you the ability to create and make amazing crafts, gifts and decorations in minutes and is SIMPLE to use. The Silhouette is a digital cutting tool for personal use. It connects to your computer just like a printer, but instead of printing designs it cuts them with a small blade. With the machine connected to your computer, you'll get access to all of the fonts on your PC plus the thousands of cuttable designs found on the Silhouette Online Store. Vinyl decor is quickly becoming one of the most popular ways to decorate homes in America. 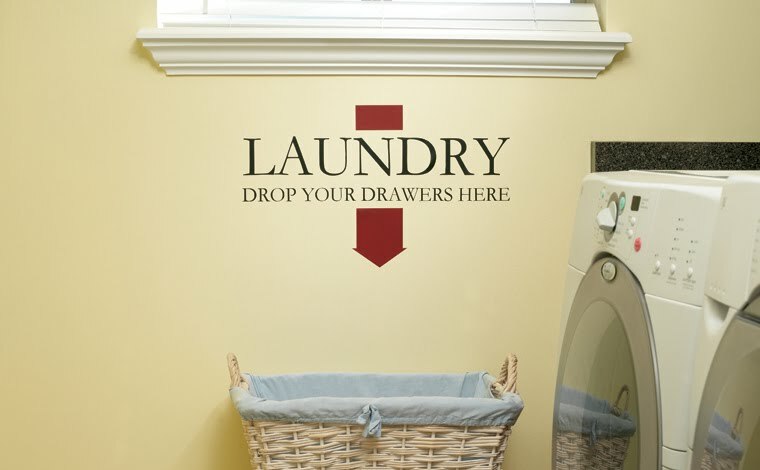 Easy to cut, self-adhesive, and removable, indoor vinyl is the perfect way to add your favorite quotes and designs directly to the walls of your home. Best of all, Silhouette vinyl is priced just right so you can just peel off your designs when you’re ready for something new. Did you know you can use your Silhouette machine to create stylish etched glass? Just cut a shape or phrase in vinyl with your Silhouette and use it as a stencil to etch any glass object with your favorite etching creme, creating a customized new look. 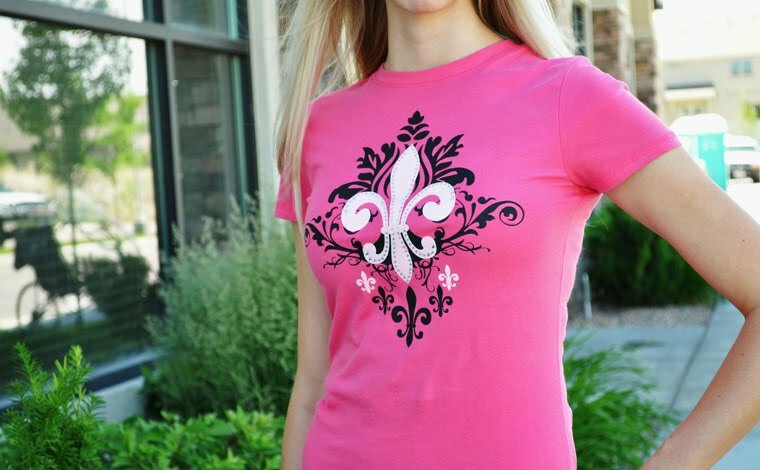 With the Silhouette's intricate cutting ability and freedom to choose and customize designs and text, creating custom shirts, jeans, shoes and more is easy enough for anyone to do. Cut and iron on simple phrases or intricate layered designs in heat transfer material or add some bling to your wardrobe by cutting rhinestone templates with a Silhouette rhinestone starter kit. Today 24/7 MOMS is kicking off our Silhouette Craft Cutter Machine giveaway and over the next few days we will post additional SIMPLE items you can create and make with the Silhouette Machine. That’s a savings of $137.97! To get this amazing deal head over here, add the Silhouette SD to your cart and then use the promo code 247 at checkout! Keep in mind that all the discounts and freebies will not show up in the basket until the promo code has been entered. If you won, what would you use your Silhouette Digital Cutter to make? and Become a 24/7 MOMS Subscriber Enter your email address below then leave a comment that you subscribed along with your email address. 1. Follow 24/7 MOMS on Twitter. 3. Tweet about this contest - I just entered the Silhouette Craft Cutter Machine giveaway over at www.247moms.com thanks @247moms for SIMPLE ideas. US entries only and one entry per person. 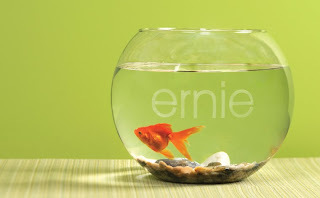 Winner will be chosen on October 3, 2010. *We received a complimentary Silhouette Craft Cutter Machine for review no financial compensation was received.